East Timor’s Prime Minister Mari Alkatiri said Thursday his country is “doing our best” to join the Association of Southeast Asian Nations, but Asean members Myanmar and Singapore are still withholding their support. 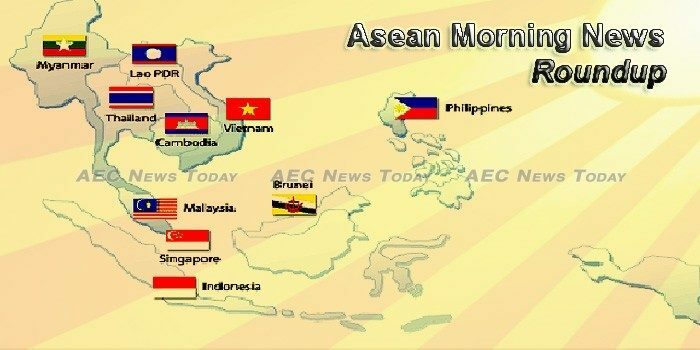 JAPAN is hoping that the competing claims of several countries over the resource-rich South China Sea will be part of the agenda of the 31st Association of Southeast Asian Nations (Asean) summit in November. US President Donald Trump’s decision to skip a major Association of Southeast Asian Nations meeting in Manila in November is “purely for scheduling reason,” Washington’s top envoy to the Philippines said Thursday as he assured America’s unwavering commitment to the region. Public Bank Bhd’s wholly-owned subsidiary Public Mutual Bhd has today launched two new funds, the Public ASEAN Growth Fund (PASGF) and Public Greater China Fund (PGCF). Some 100 food and beverage (F&B) companies from the 10 ASEAN member countries are taking part in the ongoing 2017 ASEAN Trade Fair, themed “Taste the Happiness”, held from Oct. 25 to Oct. 28 in Seoul. Digital tools need to be evaluated to get consumers to search for your products online, says Mohammed Sirajuddeen, managing director digital, Accenture ASEAN. Southeast Asia’s open skies deal will add competitive pressure to the fast-growing market, with ­implications for Qantas’s budget offshoot Jetstar. There are 10 million domestic workers in Southeast Asia but they remain “invisible” in the region’s labor sector. Asean defense ministers have formally launched the Asean Direct Communications Infrastructure (ADI), an initiative that is expected to take cooperation and communication in the region to new heights. The Philippine National Police (PNP) will impose a 15-day gun ban in Metro Manila and Central Luzon starting on All Saints’ Day up to the Association of Southeast Asian Nations (ASEAN) summit next month. The biannual Asian Business Networking Event (ABNE) has become somewhat of a tradition in Phnom Penh and one that is awaited for with great anticipation by Asian business leaders in the kingdom. Crossing cultures, languages, religion, and politics, the ABNE brings together Cambodia’s leading Asian business leaders at an event where ideas are discussed, friendships forged, and business deals initiated. The Ministry of Economy and Finance has decided to restrict the number of licences given for construction investment projects and real estate properties in Cambodia in an effort to ensure that projects which are allowed to proceed will be completed successfully. One of China’s top meat-focused conglomerates could be about to expand its reach in south-east Asia. Indonesia may offer China a project to construct an extended railway connecting Jakarta and West Java in a move that will allow the latter to tighten its grip on the former’s infrastructure development. As of August 2017, Indonesia’s coal export value to China amounted to $1.68 billion. The government will create a regulation to accommodate blended financing — the method of combining grants from donors with commercial funds — to support Sustainable Development Goals (SDG) programs. The government has told ministries to speed up improvements to the investment climate and remove barriers to goods transport, the government spokesman said yesterday. The Lao Government and the Vietnam Company of Economic Cooperation (COECCO) on Thursday signed a contract for exploitation and processing of iron ore. The Russian Foreign Ministry on Thursday denied media reports that Russia planned to block a draft resolution of the United Nations Security Council (UNSC) on Myanmar. Is the world getting Myanmar wrong? IN THE bonfire of liberal certainties, Myanmar makes for an especially painful case. Only two years ago the world celebrated as a land long covered by darkness emerged from brutal army rule. In a jubilant election the National League for Democracy (NLD) swept nearly all before it. The party’s revered leader, Aung San Suu Kyi, took over from the same generals who had imprisoned her or kept her under house arrest for nearly two decades. A UN settlement program, UN-Habitat in Myanmar, on Thursday rejected a state media report that it had agreed to help build housing for people fleeing violence in the northern Myanmar state of Rakhine, where an army operation has displaced hundreds of thousands. THE predicted slowdown of Singapore’s manufacturing output has not come in as sharply as economists feared for the month of September, as the electronics cluster continued to power ahead with double-digit growth. REMITTANCES to developing nations by migrants working abroad have long been an important lifeline for these countries. In Asean, which celebrates its 50th anniversary this year, remittances have contributed to the ongoing economic development and alleviation of poverty in the regional group. Singapore is the sixth most popular travel destination for Muslim millennials, according to findings of a study released yesterday. The government has decided to import 150,000 tons of parboiled rice from Thailand, and procure another 100,000 tons from local traders at a total cost of Tk1017.14cr to boost domestic food grain reserves. For those living in the drier parts of inland China, spending more than 10 hours on flights for a subtropical seaside vacation in Thailand is becoming a thing of the past.